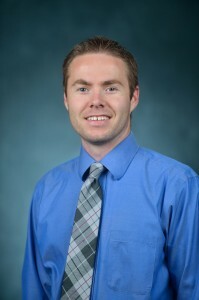 Dr. Paul Loprinzi, assistant professor of Exercise Science at the University of Mississippi, will have his article “Exercise and Cognitive Function: A Randomized Controlled Trial Examining Acute Exercise and Free-Living Physical Activity and Sedentary Effects” in the April 2015 print-issue of Mayo Clinic Proceedings. Established in 1926, Mayo Clinic Proceedings is one of the leading peer-reviewed clinical journals for general and internal medicine. The publication has a circulation of over 125,000 readers. The research study examines the effects of acute exercise and free-living physical activity on various cognitive function-related parameters. Dr. Loprinzi began his service at UM in the fall of 2014. He earned his Ph.D. in Exercise Science at Oregon State University and taught at Bellarmine University for three years before relocating to UM. Loprinzi’s current research examines the effects of physical activity on various health outcomes, as well as identifying behavioral and psycho-social determinants of health behavior. Dr. Velmer Burton, Dean of the School of Applied Sciences, noted that Dr. Loprinzi is a very talented teacher-scholar whose current research improves lives and conditions of Mississippians in the areas of health and physical activities. “We are very fortunate to have his expertise in the Department of Health, Exercise Science, and Recreation Management at the School of Applied Sciences,” said Burton.